Ty Hall will debut Nothing But Time with a performance at The Record Centre - Spotlight Ottawa	:: Spotlight Ottawa - Your local music scene. Get out and experience it! 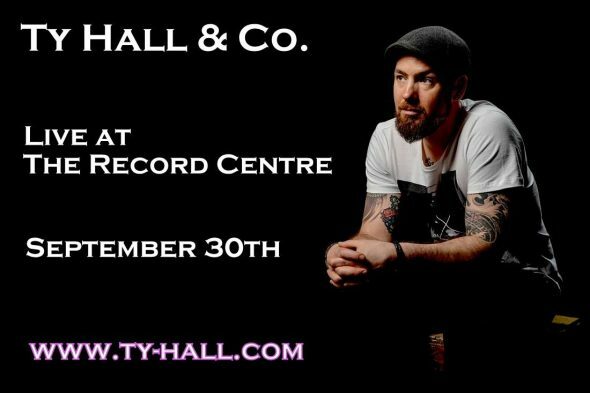 Join Ty Hall this Saturday September 30th at The Record Centre as he releases his first full length album Nothing But Time. The album will be available on both vinyl and cd. Check out our recent album review. The show is free, all ages and will be an hour long set starting at 2pm. I first became familiar with Ty’s music back in the days of the LiVE 88.5 Big Money Shot where he took home a $50,000 back in 2009. Since that time, he’s released a handful of EPs and toured the US and Canada numerous times. The band includes the funky beats of percussionist Brian Dupuis and the groovy basslines of Andrew Burns. Check out the video for Perfect Harmony.